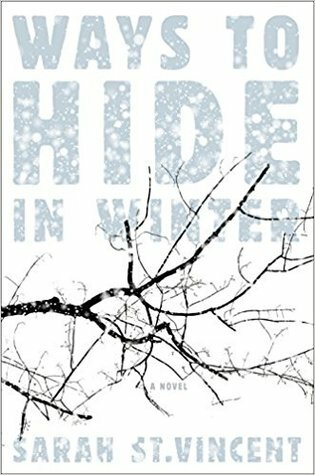 Kathleen, a young woman who lives with her ailing grandmother, has buried herself in a town hidden in the beautiful wilderness of Pennsylvania. In a community that seems unable to understand or even to think properly, Kathleen tries to remain unnoticed and silent, burdened with a cruel past. Things take a different turn when a stranger arrives from Uzbekistan, carrying his own demons along the way. With a harsh winter as the background, this story had so much potential but unfortunately, I found it to be inconsistent and flat. The winter setting is brilliantly depicted and the wilderness reflects the main themes of the story, secrets, threat and moral ambiguity. I appreciated the writer’s effort to centre a story around morality and doubts, the fact that right and wrong isn’t written in stone. This is amply demonstrated in an intriguing discussion between Kathleen and Daniil on Raskolnikov’s character in Dostoevsky’s masterpiece Crime and Punishment, the epitome of the ambiguous, divisive character. However, this is exactly where I felt that the writer bit more than she could chew. I’ve been struggling to put this mildly but I’m afraid I can’t. The writer’s comments through Kathleen came across as mighty stupid. At least, by my standards. I mean, ‘’Unlucky German and Japanese officers…’’ Unlucky? Really? How about the millions of ‘unlucky’ people who were starved, captured, killed in the most horrible way imaginable, in infernos and stables of human souls during the Second World War? Am I supposed to feel bad about the Nazis? About monsters? Am I supposed to follow the logic of ‘’they were just obeying orders’’? Well, no, I won’t. Ever. Either the writer wants us to believe that Kathleen is more stupid that she sounds or St.Vincent herself is in some serious need a) of help, b) of a serious History lesson and c) of a writing workshop. Furthermore, the attempt to juxtapose Daniil’s story with the actions of the Nazis is naive, in my opinion. Many thanks to Melville House and Edelweiss for the ARC in exchange for an honest review. Sorry this book that looked so promising, fell so short.